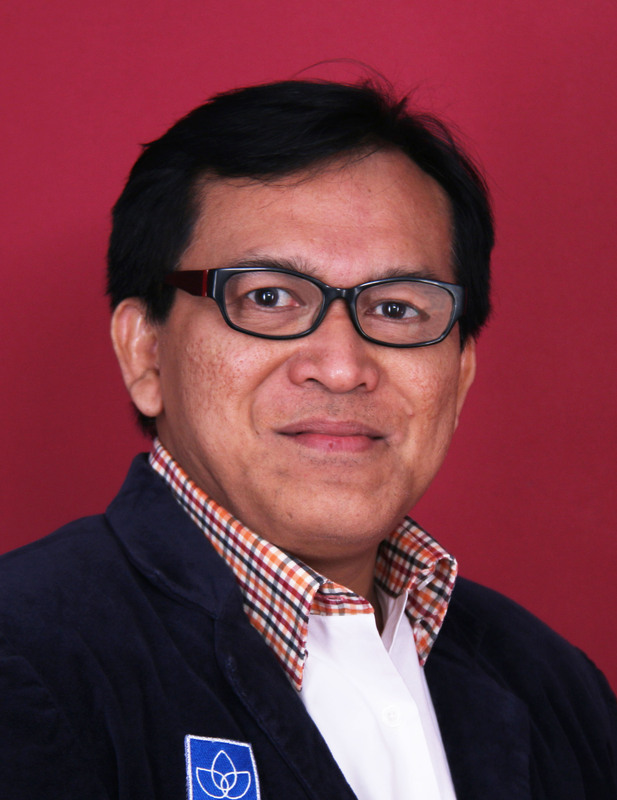 > About Us > Our People > Prof. Anak Agung Banyu Perwita, Ph.D. He obtained his MA in Strategic Studies and International Relations from Lancaster University, UK, funded by British Chevening Scholarship and got his PhD from Flinders University, Australia, funded by Australian Development Scholarship. He is also a Fulbright Fellow and has also become a visiting fellow in Nordic Institute of Asian Studies, Copenhagen-Denmark and in Giessen University, Germany. He is actively involved with Dewan Ketahanan Nasional, Ministry of Foreign Affairs and Ministry of Defence, Republic of Indonesia and has special interests on Foreign policy, security and strategic studies. He has become keynote speakers in many domestic and international conferences/seminars/workshop and has also written extensively in many domestic and international journals and books in International Relations and or strategic studies. To Infinity and Beyond: Cosmopolitanism in International Relations (Co-author with Reza A.A Wattimena), Jakarta: Ary Suta Center, 2018. Maritime Security in Indo-Pacific (co-editor with IGB Dharma Agastia), Yogyakarta: PT Graha Ilmu, 2016. Kajian Konflik dan Perdamaian (co-editor with Nabilla Saban), Yogyakarta: PT Graha Ilmu, 2015. Indonesia and the Muslim World: Islam and Secularism in the Foreign Policy of Soeharto and Beyond, Copenhagen: NIAS Press, 2007. Rahmawati, Widya, Anak Agung, Banyu Perwita, The Modernization of Poland Defense Forces as A Response towards Russian Military Presence in Kaliningrad Oblast (2014-2017), Jurnal Global & Strategis, Vol. 12, No.1, 2018. Sukma, Isti Marta, Anak Agung , Banyu Perwita, The Implementation of Australia’s Maritime Defense Strategy in Response to China’s Military Modernization in the Indo-Pacific Region, Asia Pacific Studies: Journal of International Relations, Vol.2, No.1, 2018. Tertia, Joseph, Anak Agung, Banyu Perwita, Maritime Security in Indo-Pacific: Issues, Challenges and Prospects, Jurnal Ilmiah Hubungan Internasional , Vol. 14, No.1, 2018. Lanny, Suryani, Anak Agung, Banyu Perwita, Reconciliation at the crossroads: Hindering factors Sino-Japanese relations, Strategic Review: The Indonesian Journal of Leadership, Policy and World Affairs, Vol. 8, No.1, 2018. Anak Agung Banyu Perwita, Rahma Yustika Dewi, The Implementation of Socialist Republic of Vietnam’s Defense Policy in Encountering Peoples Republic of China’s Strategic Position in The South China Sea Dispute, Jurnal Politica, Vol. 8, No. 1, 2017. Rayang Amiriyanti, Anak Agung Banyu Perwita, China-Indonesia Collaboration on Maritime Diplomacy: The Strategic Convergence of China's Maritime Silk Road and Indonesia's Global Maritime Fulcrum, Indonesian Maritime Journal, Special Edition August, 2017. Michelle Ribka, Anak Agung Banyu Perwita, Cooperative Maritime Diplomacy Between India and US, The Indonesian Quarterly, Vol.45. No, 2, 2017. Tough Leadership: The Idiosyncrasy of Rodrigo Duterte in Managing a More Balance Bilateral Relations Between Philippines and The United States (co-author Gabriel Partogi), The ASC Series on Strategic Management, Vo.37, No. 2, 2017. The Implementation of China's Maritime Expansionist Policy to Safeguard Its Interests In The South China Sea, Jurnal Maritim Indonesia, Vol. 6, No. 6, 2016. The Shift and Continuity of Japan's Defence Policy (co-author with Ria Putri Santoso), Journal of ASEAN Studies, Vo.4, No. 2, 2016. Justification for Sale: Turkey, The US and Islamic State (co-author with Devina Haryanto), Strategic Review: The Indonesian Journal of Leadership, Policy and World Affairs, Vol. 6, No. 3, 2016. Jokowi’s Maritime Axis: Change and Continuity of Indonesia’s Role in Indo Pacific (co-author with IGB Dharma Agastia), Journal ASEAN Studies, Vol.3, No. 1, 2015.